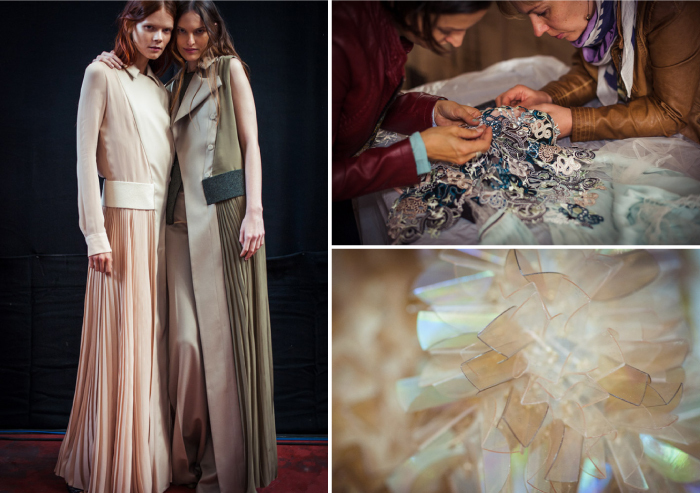 The “Queen of Prints” proclaimed that she’s evolving into luxury craftsmanship graphics - and even sportswear…. 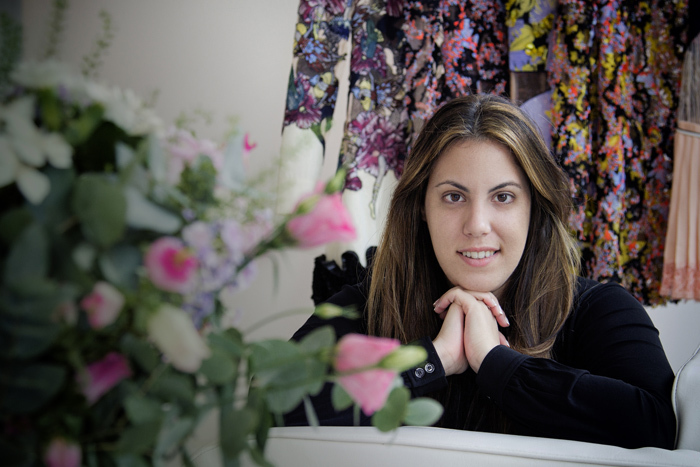 Since her graduation show in 2008, Mary Katrantzou has been adorning fashion mavens such as Anna Dello Russo with vibrant and colourful prints; from tromp l’oeil to interior images, with all being presented on constructed and structured silhouettes. Born in Athens, the London based designer studied architecture in the United States before discovering her real passion for fashion. She then transferred to Central St. Martins Art and Design College and completed a Bachelor and Master’s degree in Fashion Design. Since then her eponymous label has been going from strength to strength. This gained her the title of the “Queen of Prints.” Her aesthetics appeal to a wide audience, which led Adidas to invite her to co-produce the Adidas Originals by Mary Katrantzou Autumn Winter 2014 collection. 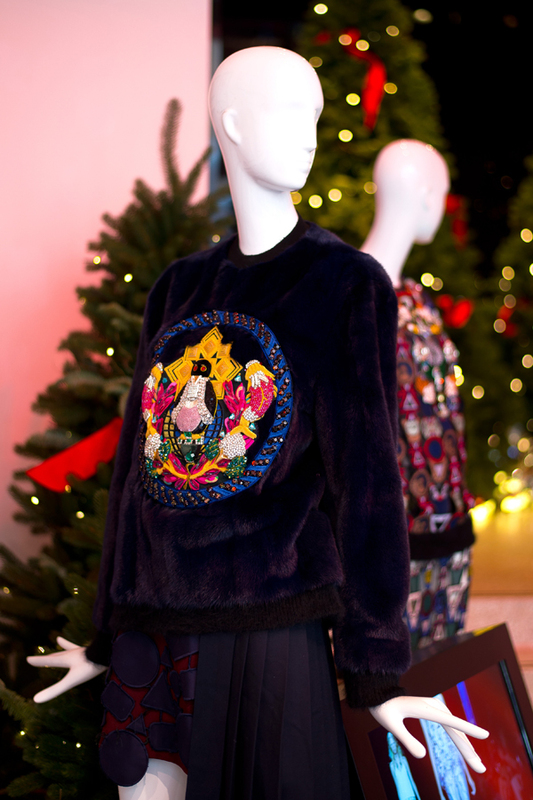 It is the perfect hybrid of Katrantzou’s subversive graphics, feminine aesthetics and architectural shapes - with Adidas’ latest technologies in textile and design construction. However, as for her own Spring Summer 2015 collection, Katrantzou is “naturally evolving” away from what cemented her designer status. 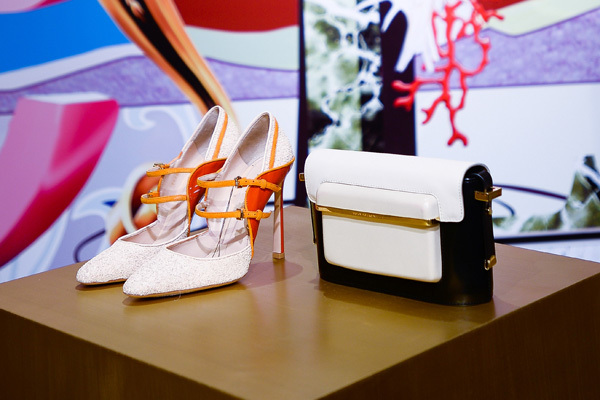 In her spring summer 2015 collection, apart from the anchor of true craftsmanship, another important element has been the “narrative”. 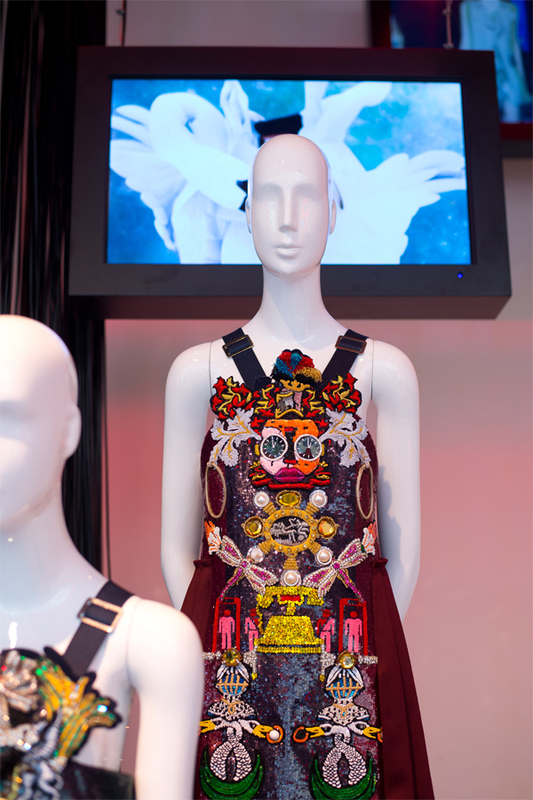 Katrantzou claims her Greek roots and a signature method in compiling the collection became the foundations. She‘s inspired by “Pangaea”— the supercontinent which existed 300 million years ago before the breakup of the tectonic plates, which then lead to the seven continents which we know today. The first half of the collection consists of stone, sand and khaki colour dresses and ensembles, which are constructed with different shapes of panels and opaque fabric in between, mimicking the shift of the plates. The second half of the collection is a whimsical interpretation of evolution — foliage and animals coming alive in intricate beading, embroidery and lacing. 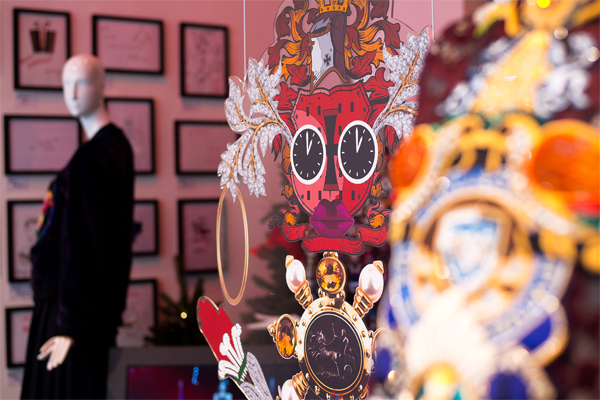 Each piece is an art form and a story – which when taken together and presented as her collection, have become a series of “evolution” storyboards. 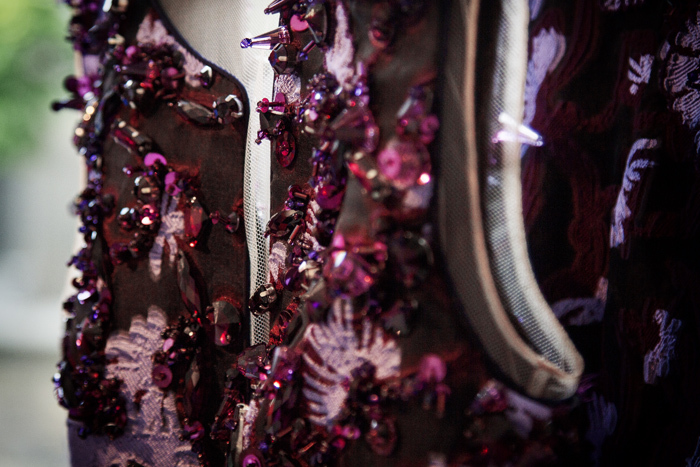 To continue our support for Mary Katrantzou, Joyce invited the designer to visit Hong Kong and China and showcase her latest collections. 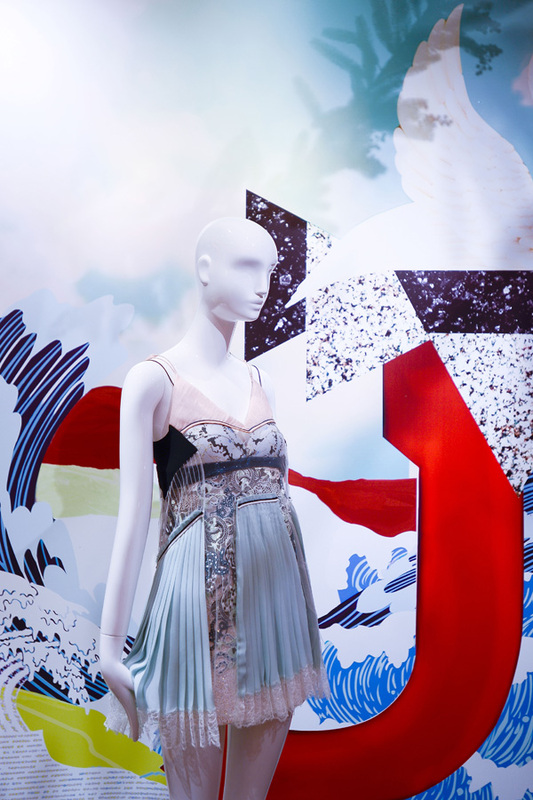 And as a “Thank You”, Katrantzou kindly designed a special Christmas wrapping paper featuring a “Joyce” print, which is derived from her previous Alphabet-inspired collection. 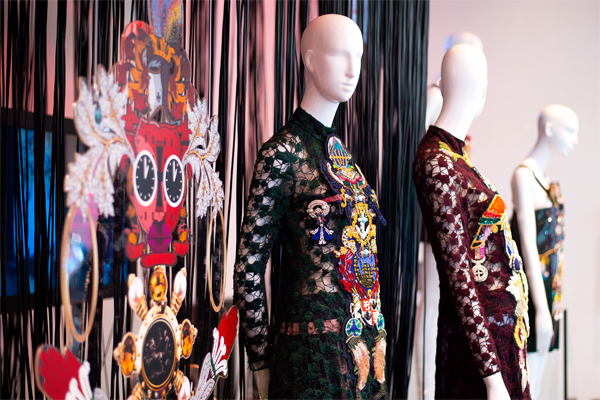 Mary Katrantzou pop up store is now at Joyce, Pacific Place, Hong Kong. 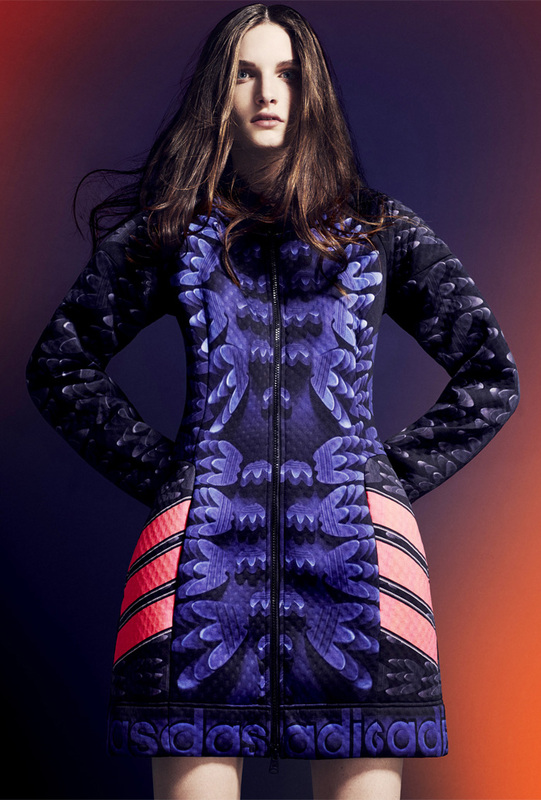 Adidas Originals by Mary Katrantzou Autumn Winter 2014 is available at Joyce, Pacific Place; Joyce, Lee Garden – Hong Kong.